Correct Wheel Sizes, PCD, Offset, Rims and Tire specs for Alfa Romeo 75 series. 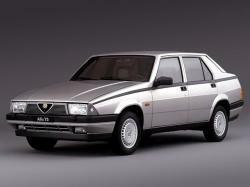 I believe no Alfa 75 came with 16in or 17in wheels as standard. Most were 14in and 15in wheels.